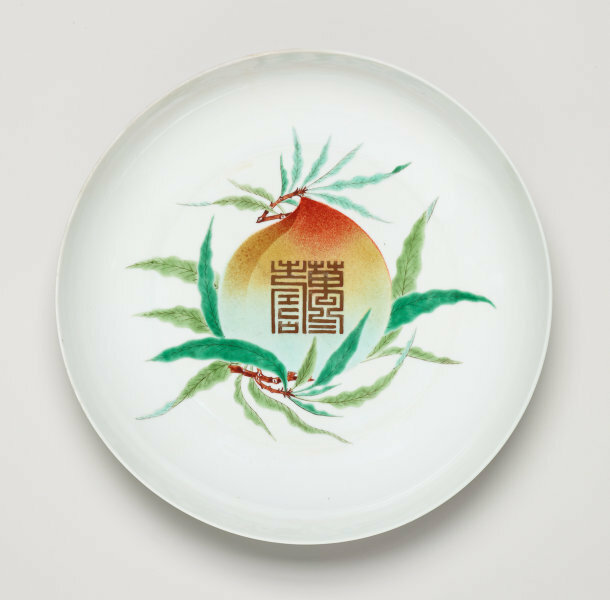 The delicately painted peach, a symbol of longevity, floats against a fine white porcelain ground. The peach is inscribed with the gold seal characters 'wan shou' (a myriad longevities), an imperial birthday greeting. A similar birthday dish is in the Percival David collection in London. The Asian Collections, AGNSW, 2003, pg.124.